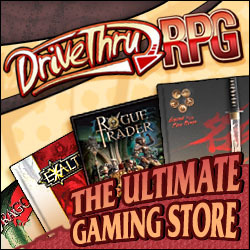 In late 2011, I set out to try to play a different role-playing game each month. After playing each game, I planned to write about them on This is my Game. While I didn’t manage a game every month, I did play and write about 9 games: Dungeons & Dragons Basic, Technoir, BattleTech, Dungeon World, Icons, Gamma World, Deathwatch, D&D Next, and Committee for the Exploration of Mysteries. Then late last year, I stopped writing the Game of the Month column. Because This is my Game has pretty much stopped getting new content, I’ve copied these old posts here to keep them on an active site. Luckily, I managed to keep playing new games despite not writing about them. Since I stopped the column, I’ve run Marvel Heroic, NewbieDM’s Star Wars AGE hack, my own Diablo AGE hack, Iron Kingdoms, and tremulus. Marvel Heroic is a super hero game based on the Cortex Plus system. The mechanics work great for the genre because they allow for open-ended uses of the various powers that the heroes have at their disposal rather than trying to codify what each power can and cannot accomplish. I ran the first half of the Breakout scenario included in the basic game with players taking on the roles of Iron Man, Spider-Man, Captain America, and Cloak. If you haven’t played this game yet, I strongly recommend buying the pdf (it’s only $10) and trying it out. NewbieDM wrote this Star Wars hack for the AGE system before FFG’s new Edge of the Empire game was announced. It has a similar focus on the original trilogy timeframe. I created a scenario for this one shot with the characters hunting down a rodian scoundrel named Beedo Keen who had stumbled upon a top-secret Imperial weapon project. My group ended up not having any force-sensitive characters which was a bit disappointing, but the system still seemed to work well for a Star Wars story where the characters skirmished against stormtroopers, negotiated with a Hutt, and eventually captured Beedo and convinced him at blaster point to aid the Rebel Alliance. About a year and a half ago, I started working on a hack to use the AGE system for Diablo’s setting. I posted my work on Dragon Age Oracle, but hadn’t gotten around to running a game with it until late last year. I ended up sending the players into Tristram’s Cathedral where they encountered and defeated the Butcher. I was really happy with how the game worked out. The undead and fallen monsters felt right in combat and the Butcher seemed about the right power level for terrifying low-level characters. I haven’t had time to write any new posts in a while, but I hope to keep working on the hack and run it again at some point. Iron Kingdoms is a role-playing game set in the world of Privateer Press’s Warmachine war game. The setting had previously been available for D&D 3e, but the new Iron Kingdoms game has entirely new mechanics that are based on the rules of the miniatures game. I wrote a whole post on the game here that covers my impression before running it. In play the game worked pretty well, but I don’t think a one-shot with pregens was enough to do the system justice. I think we underused feat points while playing and using pregens meant that we didn’t touch the character creation rules at all. It seems like there are a ton of games using the Apocalypse World engine recently. tremulus is one such game that is focused on telling cosmic horror stories. I had played a few games of Dungeon World before, but this was my first time running any of the Apocalypse World-based games. I used the Primrose Path scenario which worked pretty well as a one shot game. At the end of the session, one player character was dead and the rest were on the verge of insanity. Oh, and a terrible evil had been unleashed upon the world. I plan to continue running these one shot games about once a month, and I’ll hopefully have time to write full posts for them in the future like I had been doing on This is my Game. Follow me on twitter or keep an eye on the Players Wanted page if you’re interested in playing.